In a perfect world, retailers would employ an on-site service technician to continuously monitor their refrigeration system’s performance. But often this scenario just isn’t feasible. That’s why the emergence of built-in compressor electronics, like Emerson’s CoreSense technology, is revolutionizing the commercial refrigeration service paradigm. With CoreSense Diagnostics, technicians can quickly access easy-to-interpret fault codes and remove the guesswork from troubleshooting. CoreSense modules can link to store supervisors and facility management systems, enabling remote monitoring of system conditions, proactive maintenance, scheduling and precise identification of issues — even before technicians are assigned to fix them. 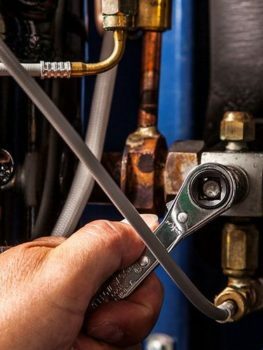 In many cases, a technician can identify the issue at hand and identify the necessary parts and tools before s/he begins the service call.